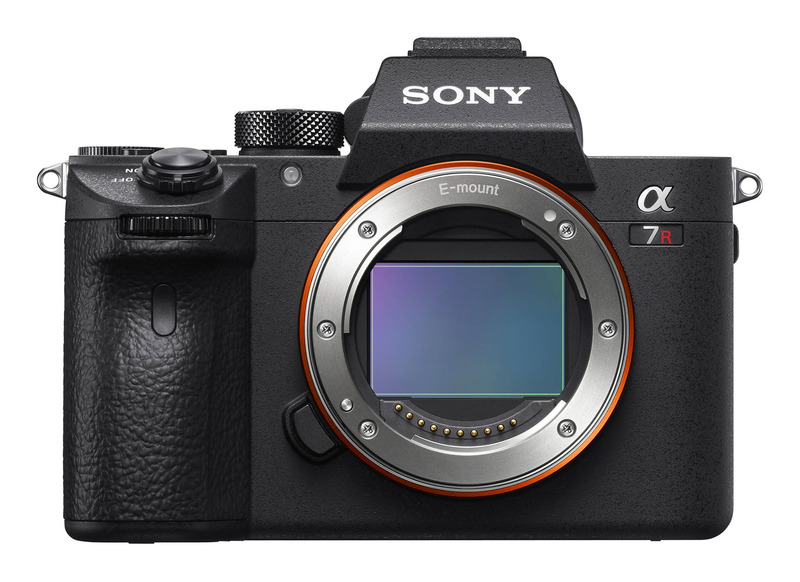 Sony’s third generation mirrorless camera, the A7R III has been quite a popular choice ever since it came out among photographers who use the Sony camera system. We thought it would be a good idea to provide our recommended settings for this camera, as a number of our readers have been asking for it. With a powerful 42 MP BSI CMOS sensor and a pretty long list of features including in-body image stabilization, native 4K video recording and superb battery life, the Sony A7R III is a high-end interchangeable lens mirrorless camera designed for serious enthusiasts and professionals. In this article, we will provide some information on what settings we use and shortly explain what some of the important ones do. The Sony A7-series cameras have a myriad of different settings and buttons, which can be confusing to understand, so the below information is provided as a guide for those who struggle with the cameras. Before going into the camera menu, let’s first get started with the exterior controls. The Sony A7R III has a lot of menu options, but there are some things that you can only control with the external controls. Similar to the Sony A7R II, the Sony A7R III has a rather simple layout on the top plate. Aside from the hot shoe, there are only two dials and two function buttons you will be dealing with. The first dial close to the hot shoe is the camera mode dial. This is where you set the main camera operating mode, whether it is Program, Aperture Priority, Shutter Priority, Manual or one of the Auto or Scene modes. As explained in my understanding camera modes article, I usually shoot in Aperture Priority mode, since it gives me control over lens aperture and the camera does the rest of the exposure calculation work, which works really well in most cameras, including the Sony A7R III. There are other modes that are specifically used for things like panoramas and movies, but you will rarely ever use those. This leaves three modes that I find to be the most useful on the A7R III: Aperture Priority, Manual and Memory Recall (labeled as 1, 2 and 3 on the dial). Although the Memory Recall (MR) mode is targeted at more advanced photographers who want to store settings for different situations, I would encourage every A7R III owner to explore this mode, since it can be very useful when changing from one shooting scenario to another. All you have to do is access the camera menu, as shown in the camera menu below, save your settings in one of the memory banks and you will be good to go. If you don’t want to go that route yet, I would encourage you to try using the Aperture Priority mode instead of the Program, Auto or Scene modes. The second dial is the exposure compensation dial. This one is used in situations when the camera does not yield a proper exposure in modes like Aperture Priority, Shutter Priority or Program and you want to adjust the exposure manually by dialing either a negative (darken) or a positive (brighten) value. You can go from -3 to +3 on the dial. Since this dial does not have a lock feature like the camera mode dial, you might sometimes end up with overexposed or underexposed shots, so don’t forget to take a look at the dial every once in a while, particularly when you take the camera out of your camera bag. Similar to Nikon DSLRs, the Sony A7R III is equipped with two function dials on the front and the rear of the camera. While these two dials are primarily used for adjusting the exposure during shooting, their functionality can change depending on what you are doing. For example, when you are in either Manual modes, the rear dial will adjust the shutter speed, while the front dial will adjust the aperture (default behavior, which you can flip through the menu). In Aperture Priority mode, both dials will adjust the aperture, whereas in Shutter Priority mode the functionality of both will shift to adjusting the shutter speed. When playing back images, both dials can be used for moving between images – you get the idea. The C1 and C2 function buttons next to the camera mode dial by default are used for setting White Balance (C1) and Focus Area (C2). Personally, I like keeping C2 for changing the focus area, but I change C1 to “Focus Magnifier”, so that I can instantly zoom in to the scene and verify focus accuracy. This way, I also subconsciously know that the two custom buttons on the camera are used for focus-related operations. Further down in this article, I will walk you through the process of customizing the different custom buttons. Sony moved the video recording button from the side of the camera right next to the viewfinder, which is a welcome change, as it makes it easier to access the button when hand-holding the camera. 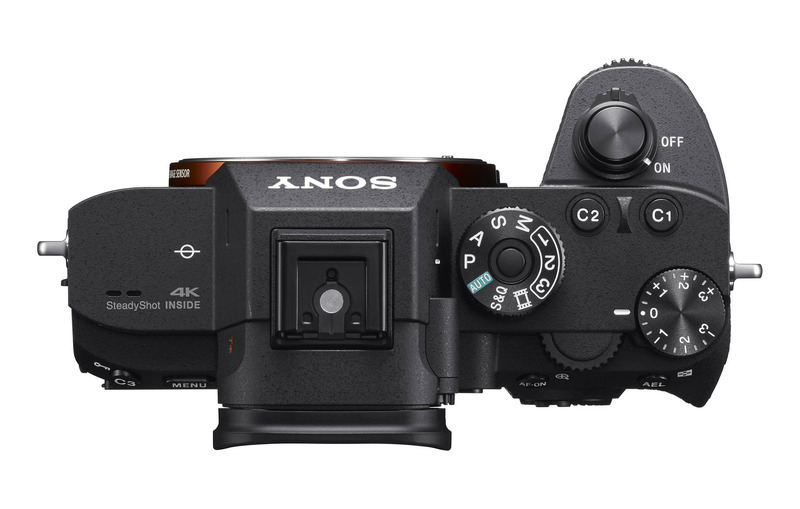 But the biggest, and the most welcome two additions on the A7R III that weren’t there on previous generation Sony A7-series cameras are the dedicated AF-ON and AEL buttons that are used for back-button focusing (useful when using the focus and recompose technique) and for locking the exposure. It is so much nicer to have these buttons instead of the AF/MF and AEL switch that Sony has been previously using! Anyway, I personally always set my cameras for back-button focusing and I will walk you through the process below. Another excellent addition is a dedicated joystick that can be used for quickly moving the camera’s focus point. This has been one of my biggest frustrations with Sony mirrorless cameras, since there was no quick way to move focus points before. This one button solves the problem! Prioritize Rec. Media: Slot 1. Since the A7R III is equipped with two SD card slots, you can choose which SD card to write to by default. The multi-functional navigation dial on the back of the camera is very useful and can be used to navigate through the camera menu, make quick exposure changes, as well as access specific functions by pressing each of the four corners. “DISP” switches between different views on the camera LCD; “ISO” allows changing camera ISO; the left side is used to access camera drive mode, while the bottom side can be configured for accessing other functions. There are two extra buttons beneath the multi-functional navigation dial – Playback and C4 / Trash. Playback is obviously to play back images on the LCD and the C4 / Trash button can be used to delete unwanted images during playback. When the camera is not in Playback mode, the C4 serves as another programmable function button. While I prefer to use the C4 button as a “Focus Magnifier” I ended up setting the C4 button to “Metering Mode” (to toggle between the different metering modes). Unfortunately, Sony currently has a bug in its firmware – if you set “Focus Magnifier” to other buttons, you can press the buttons several times for zooming in during MF operation – the C4 / Trash button does nothing when pressing it several times. Unfortunately, Sony’s menu system is a big mess and it is far from being user-friendly or intuitive, even in the third iteration. Sony tried to organize the menu and it made it even worse in my opinion, with an awfully high number of menus and sub-menus to access. As you will see below, there are lots of menu options to go through! Even the menu system of Olympus cameras, which I find to be rather complex to navigate through, is more organized in comparison. Let’s go through each menu setting. RAW File Type: Compressed. Unfortunately, there is no “Lossless Compressed” option, so you will either have to live with losing some image quality in RAW files by choosing “Compressed”, or you will end up with huge “Uncompressed” RAW files. Personally, I change mine to “Uncompressed”, as I want to take a full advantage of the camera. But for most photographers out there, Compressed will work just fine and they probably won’t be able to tell the difference between the two. JPEG Quality: Extra fine. Not relevant for RAW files anyway, but if you occasionally shoot JPEG, might as well get the highest quality. JPEG Image Size: L:42M. Keep at the highest resolution, but again, this is only when shooting JPEG instead of RAW. APS-C/Super 35mm: Don’t change, only relevant for cropping images. Px. Shift Multi Shoot. : Off. This is a new setting that allows the A7R III to shift pixels in sequence in order to capture a very high resolution image. Unfortunately, the camera does not have a way to create a single image and you will need to use either Sony’s software or other third party tools to create a single image from pixel shift file sequences. Memory Recall: Only available when when MR 1, MR2 or MR 3 mode is selected on the top of the camera. Memory: Allows quickly saving current settings to a memory bank. An excellent way to create different presets for different shooting conditions. I usually toggle between two presets – for Landscapes and People. For landscapes, I set camera mode to Aperture Priority, Manual Focus, ISO to 100, turn Auto ISO off and turn off other irrelevant settings such as face registration. For portraits, I set the camera to AF-A focus mode, ISO to Auto, and tweak other relevant settings. You can create up to three different presets. Select Media: Slot 1, for selecting which memory card to write to. Reg Cust Shoot Set: An advanced menu option that allows creating up to three Custom Hold presets, which can be assigned to different buttons on the camera. I personally don’t use this feature, but it could come in handy for making quick changes to the camera without having to switch to different camera modes. Swt. V/H AF Area: AF Point Only. This setting allows storing focus points by orientation, a useful feature when switching from landscape to portrait mode. AF w/ shutter: On – if you want to use the back button focusing (AF-ON) to focus and recompose, set it to Off and use the AF-ON button on the back of the camera, as explained earlier. AF Area Regist. : Off – allows saving a focus point to a particular area of the frame. You will need to program a button to recall the focus point. Del. Reg. AF Area: If you want to delete the registered AF point. Down Button: Px. Shift Multi Shoot. Dial Setup: This is to control what the dials do in Manual Mode. Keep at default unless you want to swap the dials. If you have certain menu options that you access often, this is where you can add those from. I hope you found this article useful. Please note that the above settings work for me and they might not necessarily suit your needs. It is best that you explore your camera and learn about each setting as much as you can in order to take advantage of all the available features and customizations! From looking thru the manual for the (very soon to be available) Sony a7 iii, I can see that this excellent summary will also apply equally well to that new model. So, very timely !! I mostly use A(perture priority) mode too – but I reckon P(rogram) mode is much under-rated: ‘cos when used with Program Shift it works like a combo of S(hutter priority) *and* A(perture priority) modes; in that one simply turns the Control Dial to shift between the combinations of shutter speed and aperture for the current exposure … making a choice of emphasis on either shutter speed OR aperture as you review the options. I notice you leave Zebra set to Off. I find this feature useful (when set to 100+ #) in highlighting areas of the scene that are likely to be over-exposed at the current exposure settings (whilst not taking this too literally; given the higher range capacity of the RAW file). I use this to review the scene and lock exposure before I recompose and shoot. I assume another similar approach would be to use Metering Mode = Highlight … Have you had any experience with this option ? ? On the topic of “locking exposure”, I was intrigued to see you have AEL w/ shutter set to Auto – whereas, I have it set to Off. Interestingly, I found there’s not much difference in implementation: When set to Auto, exposure remains locked once the shutter button is half-pressed – whereas, when set to Off, exposure continues to be monitored as one recomposes (with shutter button half-pressed), with separate ability to lock exposure as required (using the dedicated AEL button) … A case of “horses for courses” I guess ! John, thank you for your feedback! I agree, Program mode can be very useful too, I just prefer to shoot in Aperture Priority, since it is something I am very used to and it is easy to manage. I saw lots of people complaining about A7R3 menu too long, but I really like it. Best approach is to spend few hours and go through the menu and customize the buttons and then move the important functions to My Menu. Then you are all set and no more complications with the ling menu, that’s my two cents. Nasim. Have you started to use Sony instead of Nikon ? May I ask you reasons. No, I’m still a Nikon shooter. I’m simply testing some Sony gear for review purposes. Let’s hope Nikon get Mirrorless and Video sorted in next 3 years and we can still use current lenses! Darrell, Nikon has one chance at this and I really hope they don’t screw it up! I don’t see how Nikon will be able to go mirrorless and use current lenses as the flange distance will not be the same. I purchased the Sony a9 in January and the technical innovations that this camera brings are as revolutionary to me as the change from film to digital photography. I come from 20 years of using Canon gear and recently sold most of the gear to include the 1DXii. Presently there are rumors of Canon coming out with a full frame mirrorless camera but considering that Sony is in its 4th mirrorless generation, I doubt that Canon will catch up rapidly and Sony’s disadvantage in the lack of long fast lenses is rapidly been corrected. You did not elaborate in the Network 1&2 sections but this is the most frustrating and useless part of the menu; after downloading the app for both an iPhone and Samsung, I finally gave up…it is a shame that Sony incorporates such a deficient program in the top of the line camera. Once installed, either bluetooth or Wi-Fi may work intermittently; and when the phone is turned off, connections are lost. My major interest he is/was the GPS function. When it comes to My Menu, none of the Playback features can be incorporated in the a9; I wanted to add the Copy function; not possible. It had not seen discussed in the web that when using the a9 with G or GM lenses, the features available change; for example the Eye Function may not work with the 24-105 mm G but will work with the 24-70 GM or the 100-400 mm GM. Appreciate your work above but there is so much to explore in the a9/7 cameras that is unknown do to the lack of information and the deficient Sony manuals. 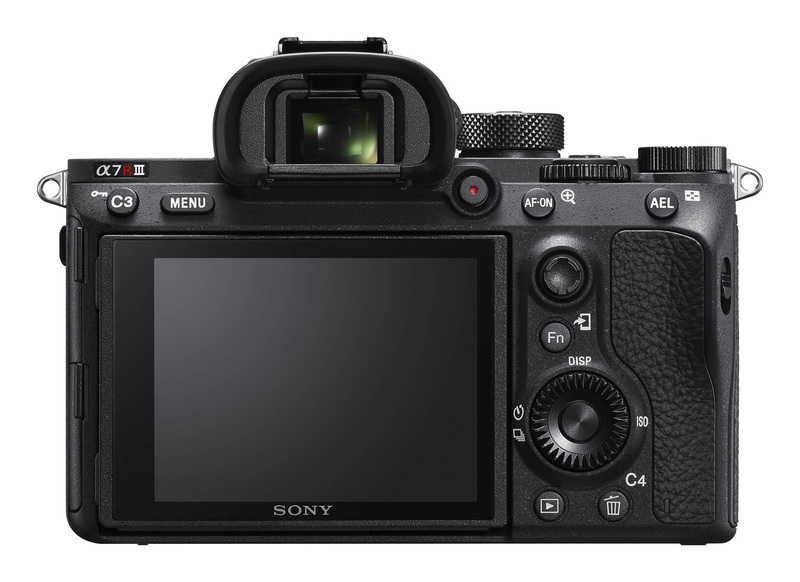 keep exploring the a9/7 Sony cameras and providing us with new information and fixes. Jose, thank you for your feedback! You are right, there is a lot to explore with the Sony A7/A9 series cameras. Personally, I am extremely frustrated with the menu system on the A7-series cameras. I really thought that Sony would at least make the menu system more usable, but the A9 and the A7R III both have the same, cluttered and unintuitive menu system. It is frustrating that Sony simply moved some of the menu items instead of making it more usable. Applications are now gone and I couldn’t even run a very simple timelapse when traveling. Honestly, even though some of the features of the camera are indeed revolutionary, I would never consider purchasing the Sony system due to its flaws in the menu system, ergonomics and lack of basic features. And lossless compressed is still missing on the A7R III…third generation and you can either pick a lossy RAW or an uncompressed RAW that results in monstrous file sizes. It seems the Bluetooth connection issue is an iOS limitation. Android shooters don’t seem to have the same issue, myself included. Will you do a full review of the A7RIII? Dan, yes, and I already have plenty of sample images from different trips. Will work on the review when I get back. Your site is my favorite by the way. You all do a fantastic job. The A7Riii does not have a pop up flash, by the way. At least mine does not. I don’t like them either. I realize readers use these cameras in so many ways. Birds in flight are very challenging, and I have not yet found the ideal settings on this camera for getting consistently reliable focus. I have also found that focus is more unreliable with the 1.4 teleconverter attached. I wonder if in your review you can devote a section to “action” photography. Unlike Nikon, I can’t use A priority for BiF because there is not a way to set a minimum shutter speed in this mode. Metering is generally reliable but if I take 20 photos within a few seconds, in manual mode, with identical lighting and subject, the ISO will be all over the place, varying by as much as 4 stops. Thanks again for all the fantastic technical and artistic material you publish. Wendell, thanks for letting me know, it was a typo on flash and I removed the reference. As for using the A7R III for action photography, since it is not really made to be an action photography camera (unlike the A9), I wasn’t planning to use it to photograph any sports or wildlife. Plus, aside from the 100-400mm, Sony doesn’t really have any super telephoto lenses with large apertures, which makes these cameras not particularly useful for getting closer to wildlife. I have shot action with the A9 and it did fairly well though with the 100-400mm for shooting Rodeo, so I am sure the A7R III should be able to perform as well. Now in regards to not being able to use minimum shutter speed in Aperture Priority mode, I am pretty sure you can do that – I just did it on mine. Set up the camera to Aperture Priority, press the right button (rear dial) and set ISO to ISO Auto, then go to Menu -> Exposure1 -> ISO AUTO Min. SS and set your desired minimum shutter speed. It works quite well! As for metering, are you sure you have bracketing turned off? My Sony A7R III exposes pretty well in most situations, but sometimes I do have to override exposure with the exposure compensation dial. As a Nikon shooter I love my front dial to be exposure compensation and my rear dial aperture adjustment. Do you know whether that combination is possible on the A7R III? Changing dial and button assignments, including matching your preferred front and rear dial preferences, is easy to do on the A7RM3. I have the new A7iii and used this article to set up the camera. It was a great help so, thanks for this. I know not all things are the same but the vast majority are. I know sending to a smartphone is not something the article covered but I do this for some shots. I have the latest Playmemories app but all I get is a constant screen on the camera saying ‘connecting’ it never connects. I have the correct password for the connection so I am stuck. Can anyone offer a suggestion? My A7iii doesn’t have any “Px. Shift Multi Shoot” settings??? George, please look at the title of the article – it is for the Sony A7R III, not A7 III. That’s a different camera. I’m a wedding photographer and speed is always a huge concern of mine. I use back button focus but many times I may quickly turn and select a new subject to shoot. If I let my thumb off of the AF-On button and try to hit it while its still being displayed, the AF-On button zooms all the way into the middle of the image because it thinks I want to zoom in. Is there a way to turn this off? I would love an answer to this question. I’m running into the same problem. Hi!!! Greetings from India. I have been following your articles on photography and I thank you for explaining the concepts of photography in elaborate detail. Your articles have immensely helped me in learning photography. I have recently purchased a Sony A 7 III camera and I request you to give a detailed write up of the recommended settings for Sony A 7 III. Do keep your hard work cause its awesome to learn from a talented and expert photographer like you. Thanks!! Thank you very much for the guided tour through all the A7R III’s settings. Very helpful indeed. There is one point where I would like to make a comment: you suggest to leave the lens distortion correction off since it is not relevant while shooting RAW. However, the distortion correction works in realtime and has an effect on the image in the viewfinder too. So even if you apply lens distortion correction during RAW conversion, it is better to have it on, so that the viewfinder image is identical to the final result. This is especially relevant for lenses such as the Vario-Tessar 16–35mm 4.0, of which the distortion is quite prominent without the software correction.